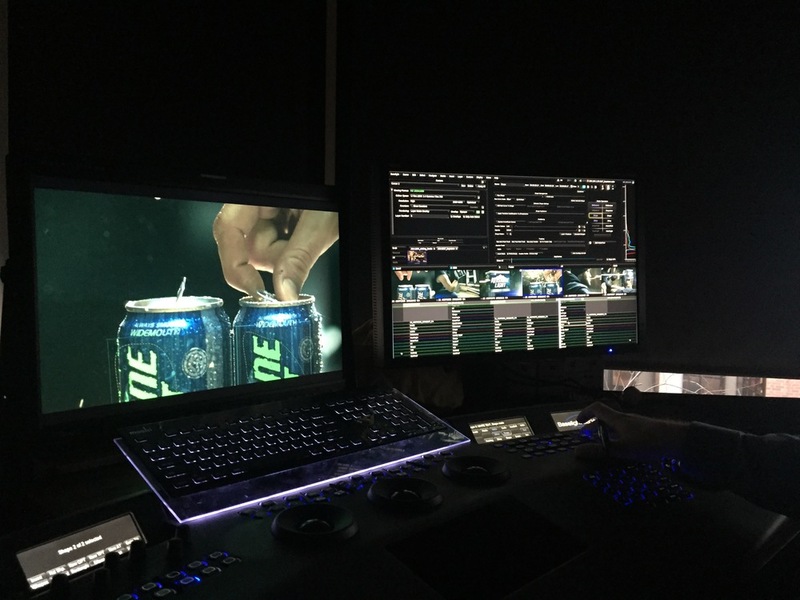 Producing television advertisements in the alcoholic beverage commercial category can be one of the most competitive projects we undertake as video production professionals. Just think of the iconic commercials from the past decade alone: Clydesdales, Dogs, Entire Towns Made of Beer Cans, A Man's Man & the Champagne of Beers....we can remember the brands and spots without even hearing a concept or seeing a visual. For this foray into the beer commercial space, we were contacted by Olson Agency, who manages the social account for cult-beer brand Keystone Light. They came to us with a need to produce an online beverage commercial quickly leading up to Super Bowl 50. With the intention of the beer ad being used in digital marketing efforts to create hype and brand awareness leading up to the big game, we knew their creative concept would need some fine touches to help sell the humor and grab the attention of consumers. Dan Schunk, Creative Director at Olson Agency, came in with a great idea, a deadline, and the challenge of achieving both on a shoestring budget. We love challenges, we loved the creative, and because the folks at Olson are so great to work with, we of course took on the job. There's an inside joke in the production community, "those who have the biggest budget challenges and the tightest deadlines still expect the most." But we were so pleasantly surprised to find that Olson Agency was the exact opposite. They couldn't have been more collaborative, more understanding, and more fun! When we first heard the creative called for two workout buddies to be in a garage, lifting weights, we immediately thought of the best 80's and 90's cheesy exercise videos. Old training sequences from the movie "Rocky", exercise fashion from Jane Fonda, Josh Brolin's outfit and slinky-like chest expander from the movie "Goonies", Zubaz pants, and anything associated with finely-manicured facial hair manliness from the 2000s. Olson's added their art direction and idea to make this contemporary to their audience of college-aged drinkers and hunting/fishing enthusiasts. To see all of these inspirations and more, click here. Creating the garage workout set with props allowed us to set the scene for our humous beer workout in preparation for a coveted "Guys Trip". Featuring deer heads, a fishing pin-up calendar, a retro boom box, beer can dumbbells, and a beer can bench press allowed the humorous side to be shown in all aspects of the digital commercial. Special "Props" to our Prop Master Spence Warren for his hot glue gun and his amazing abilities. His props were hilarious, perfect, and inspired our Director, crew, and talent to really go for the gusto. Another crucial step in making this beer advertising commercial successful was to use talent that had the rugged, beer-drinking, persona of a guy's guy. Because of budget considerations, ultimately the talent we used were the same Ad Agency creatives who came up with the creative. The challenge in using non-professional acting talent to achieve humorous portrayals can be daunting, or can end up being "inside joke" funny. Overcoming this battle allowed us to stay within budget while still producing a high-quality, hilarious success. So after reading and watching we bet you're wondering how the beer ad was received? First, our client at Olson Agency manages social media for Keystone Light, so we started with the directive to make a :15 beverage commercial for use on their Facebook page, but once we started creating we collectively found we could make this into a :30 spot that would capture the imagination of everyone involved. 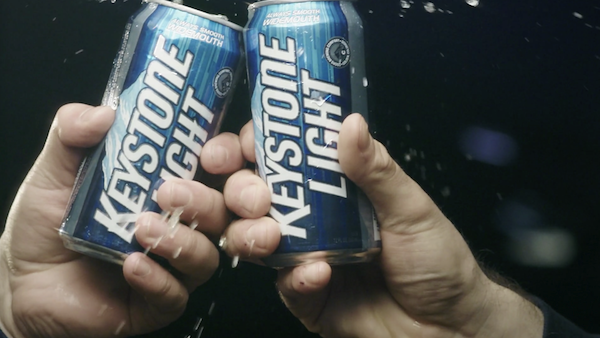 Olson took the spot to Keystone Light, and after watching they decided to highlight and feature it in a Facebook campaign in the week before the Super Bowl. After a little over 3 days, with over 400,000 views, 900 shares, and 1,300 likes on Keystone Light's Facebook page, Keystone Light, Olson Agency, and Explore Media all agreed this beer advertising commercial was a runaway success. Not bad for a low-budget project shot, edited, colored, sound designed, and finished in less than 7 days! This Keystone Light Beer Advertisement we produced, directed, and finished for Olson Agency was shoot on one of the coldest days of the year, during the night, with no access to heat inside the house. This was a big challenge complicating the entire production....but one that our crew made into a fun experience. We had a chili-eat-off, hot coffee drinks, salamander space heaters and a hot production van ready for anyone needing a little warming up. The Key(stone) to a successful project always starts with wonderful crew, and we're lucky at Explore Media to work with great collaborators on every project who always go above and beyond to help us achieve the best television and web commercials possible for our clients. Each and every individual involved worked in the freezing cold weather and put so much effort and added their own extra touches -- not because they had to -- just because they are awesome folks. And of course...we made a good story while making a good story! We also want to send a special thanks to the awesome folks at Nolo Digital Film for the killer color correction and Noise Floor for the Custom Music and Sound Design. Elliott, Stosh and Devin are the best! Director Jeremy Pinckert explains what he wants in the bench press scene. Super-great Olson Agency creatives and our amazing crew shucking off a Chicago winter night. Our amazing talent preps for his strenuous Keystone Light bicep curl. 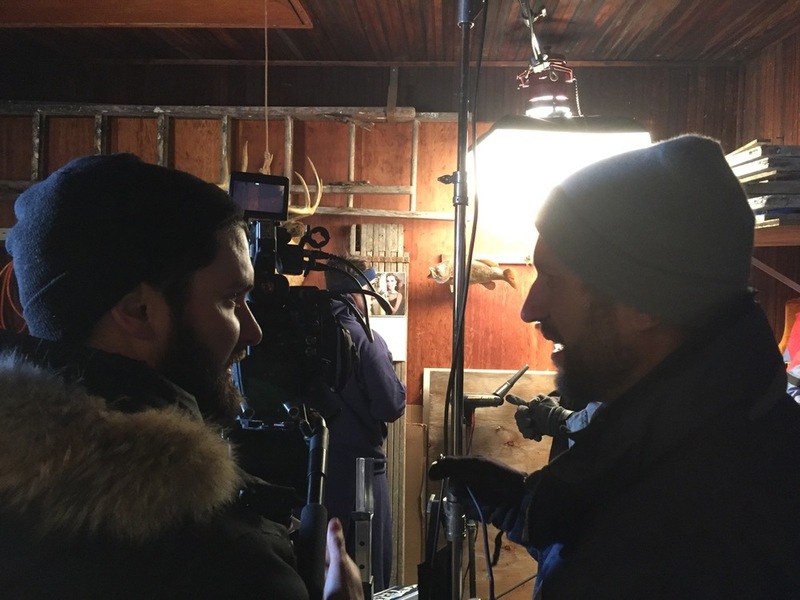 Director Jeremy Pinckert and DP Jamieson Mulholland discuss the perfect angle. Nolo Digital Film displays where the color correction was crafted. ***No Keystone Lights were harmed in the filming of this commercial .... that is until the last "Finger Exercises" scene where cold, frigid hands had to pop multiple cans open.